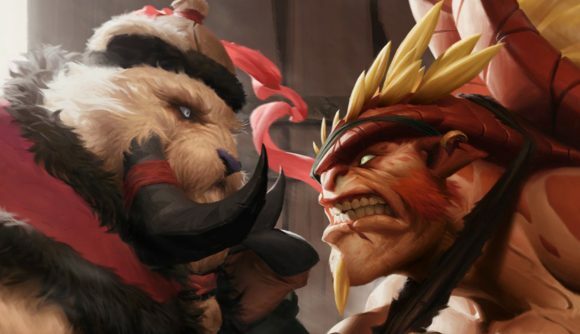 While we’ve known for a while that Valve’s coming card game, Artifact, would make use of the Steam marketplace to enable card trades, we’ve been missing the details. At PAX West earlier today, we asked programmer Jeep Barnett and lead designer Richard Garfield (creator of Magic: The Gathering, arguably the biggest trading card game ever) to fill in the blanks. In summary, you’ll be able to list individual cards on the Steam marketplace, and buy them from other players. This is in addition to buying card packs. 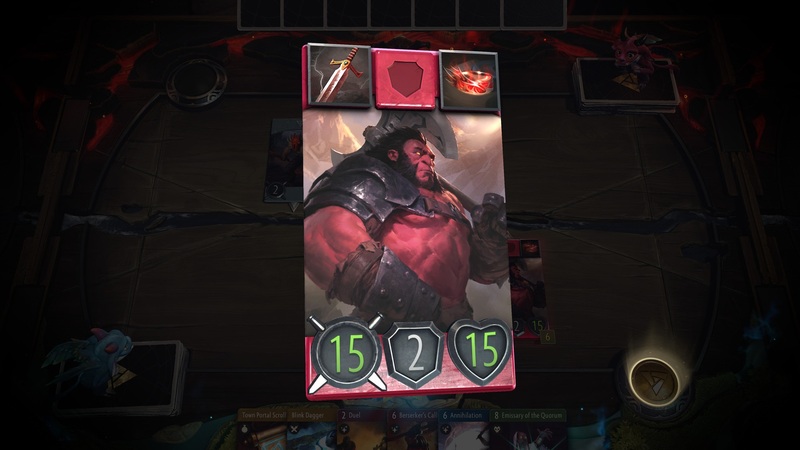 Naturally, Valve understand that the competitive scene will set the meta, but is hoping that the cards they do not favour will retain value through casual play. Artifact’s release date is November 28, though there’s a beta coming in October. A single purchase of the base game will set you back $20 and get you a decent wedge of 228 cards with which to build your deck, with booster packs selling for $2 each. And now we know that if you have your sights set on a particular card to complete your winning strategy, you can look for it individually on the Steam marketplace.